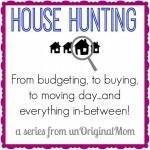 I posted this a few months ago over on Uncommon Designs as a contributor, but in case you missed it, I thought it was a tip worth re-posting! We recently moved into a new house, and it has a to-die-for master shower. I’m talking uber-over-the-top, need-a-diagram-to-know-which-faucet-to-turn-on kind of shower! It took some getting used to…but now I’m officially shower-spoiled :-) The only downside is that it’s difficult to keep clean! I’m still working on how to really get the grout clean (anybody have any great tips about that? ), but I discovered a great way to help with the glass…Rain-X! It doesn’t help that we have pretty hard water at our house, so the water droplets that remain on the glass really scum up the glass quickly. See how scuzzy it looks like when it dries? So I decided to apply some Rain-X to see if it made a difference. After I cleaned the glass, I applied the Rain-X following the instructions on the bottle. Now, this was a brand new bottle and there were no fumes to speak of…but I know that I’ve used Rain-X in the past and it has been really stinky! Maybe it depends on the variety you get, or maybe it’s only older bottles…but regardless, make sure to turn the bathroom fan on and open a window if you need to. I used one microfiber rag to apply it, and another one to wipe the smudges clean after it had dried. 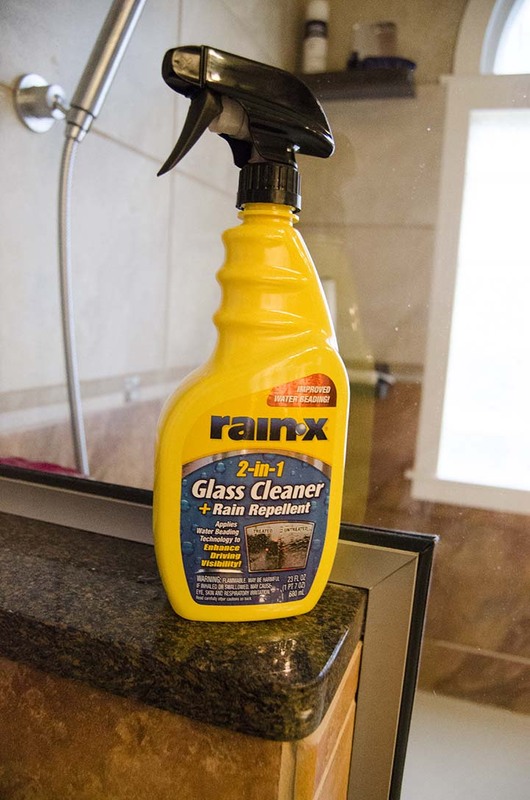 Note – The Rain-X website FAQ page does say that Rain-X is safe to use on glass shower doors. 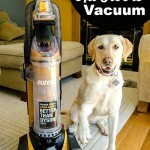 I wouldn’t let pets or children around while you’re applying it or let them lick the glass or anything, but beyond that it seems just like using any other household cleaner. Ta-da! The water beads up and runs down the glass just like when you apply it to a car windshield! 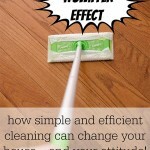 It doesn’t eliminate all of those little droplets completely, but it significantly reduces them! What a difference! No more scummy shower glass after just a few days…this will help keep my shower clean for much longer! I love cleaning shortcuts like that! 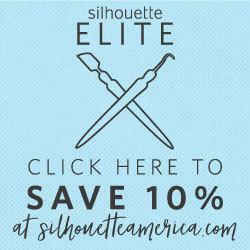 Do you have a favorite cleaning shortcut? 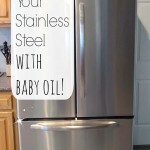 Leave a comment…I am always looking for more to try out! 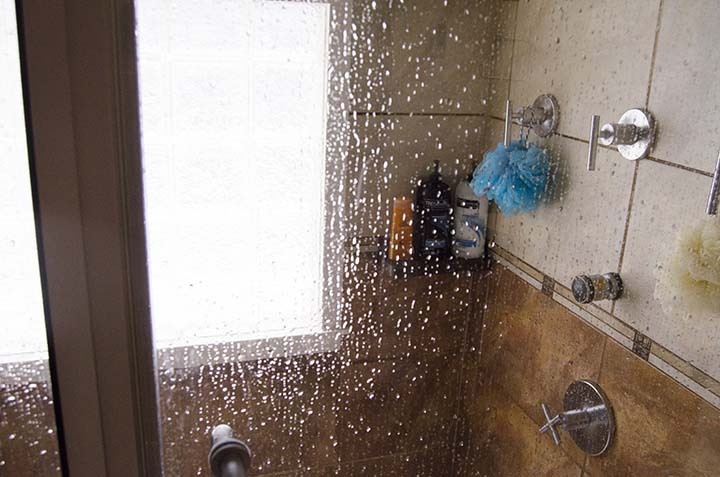 14 Responses to How to Keep Your Shower Clean – Rain-X on Shower Glass! We use rain X on our cars and LOVE it. 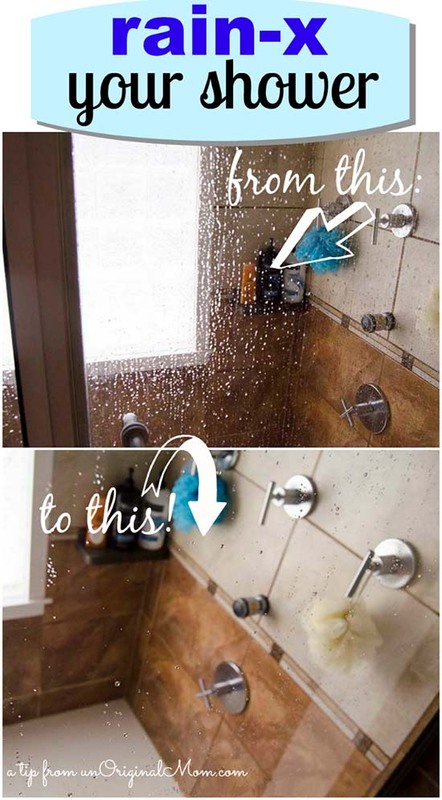 I never thought to use it on the glass shower doors–this is genius! Pinning this! That is SUCH a smart and easy idea!! Where has this been all of my life?!?!?! Awesome!!! Great idea! 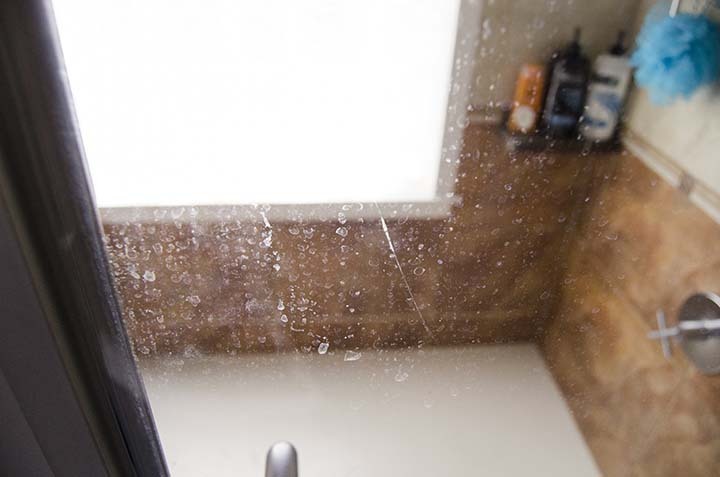 We’ve had glass shower doors in all our homes, and they are a bugger to keep clean! One trick – keep a squeegee in the shower, and run the squeegee down the glass after the shower is over. That helps a lot too! We use the squeegee after every shower to. Only way to keep it looking like a 4 star hotel shower room. But you can get the shower glass protected with a product that stops the build up of scum. I only have to clean our shower about once a month. The first time I used Rainex on my windshield, I was in heaven! Even in the winter the ice wouldn’t stick. Talk about safe driving. Using it on a shower door is brilliant! I’ve heard about this stuff and after our long winter was determined to use it next year. Great tip about using it in the shower! Totally doing this. FYI re:cleaning the grout, use toilet bowl cleaner and a stiff brush!!!! Works GREAT. Rain-x has a product for shower doors too. I appreciate it when you shared the photo of how the glass shower door looks when the hard water dries. I can agree with you that it scums pretty quickly. 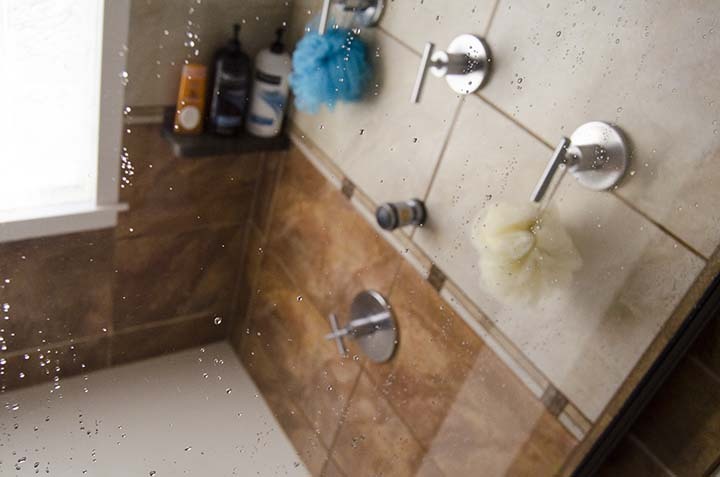 We are planning to have a glass shower door installed in the house soon, so I appreciate the tips on how to keep it clean. At least, now I am prepared. This is important because of all the places in the house, the bathroom is the one I want to keep shiny at all times.